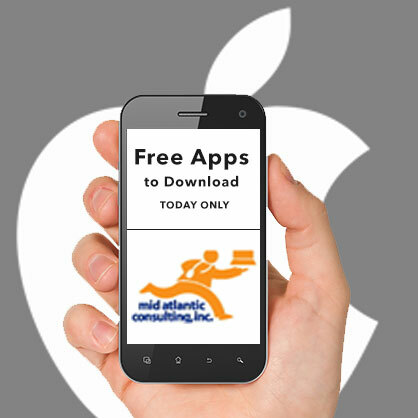 Mid Atlantic Consulting Blog | Mac OSX or Windows, this is The only Blog for Around the Clock IT Support. **Once in HotMacNews Home Page click on Preferences to customize to your needs. Maps aren’t just useful for getting you where you need to go when you’re driving or walking. Apple Maps has a wonderful feature that provides indoor maps for airports and malls. These huge locations can be tough to navigate, even if you do find a directory inside. And if you’re in a hurry to get to your gate for a flight or need to find a restroom in a hurry, Apple Maps can get you there. 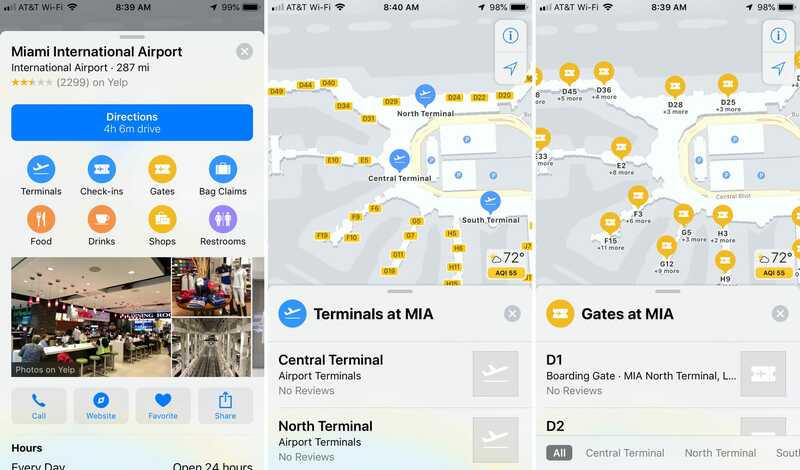 Here’s how to use indoor maps for airports and mails in Apple Maps. Indoor airport maps are not available for every single airport around the world, but more are added all the time. For a complete list of airports supported, check out the Apple Support site. 1) Open the Maps app on your device and tap in the search box. You can enter the airport name or select Travel > Airports and then browse for the airport. 2) When you see the airport you want, tap on it. 3) You’ll then see options for things like terminals, gates, restrooms, and bag claims. Tap one to see the spots plotted on the map as well as listed for you. This allows you to select one from either the map or the list for a closer look. Some shopping malls can be enormous. And if you need a restroom quickly or are just there to find a specific item, you probably don’t want to mess around with window shopping. 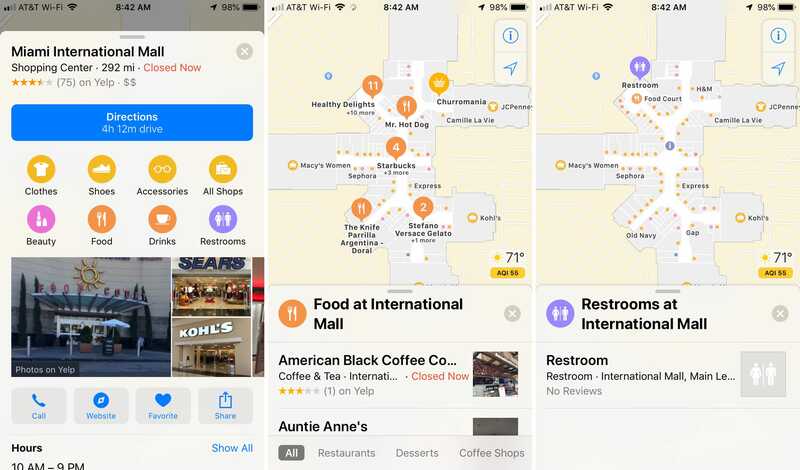 Apple Maps gives you indoor maps for many malls around the world. 1) Open the Maps app on your device and tap in the search box. You can enter the mall name or select Shopping > Shopping Centers and then browse for the mall. 2) When you see the mall you want, tap on it. 3) You’ll then see options for things like clothes, shoes, restrooms, and food. Tap one to see the locations the map as well as in a list for you. This lets you to pick one from either the map or the list for a closer look. 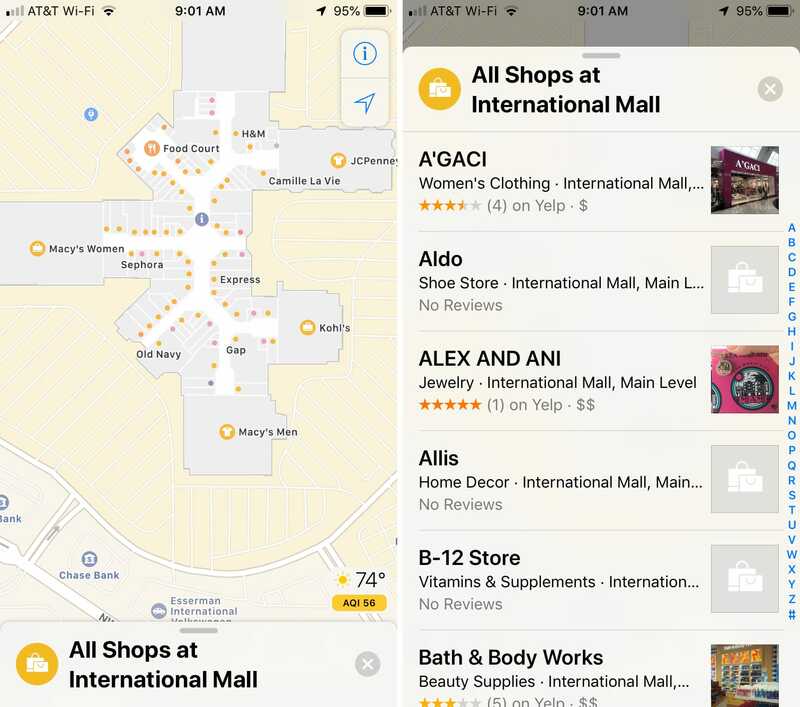 The next time you’re flying on a trip or heading to the mall, remember this helpful Apple Maps feature. 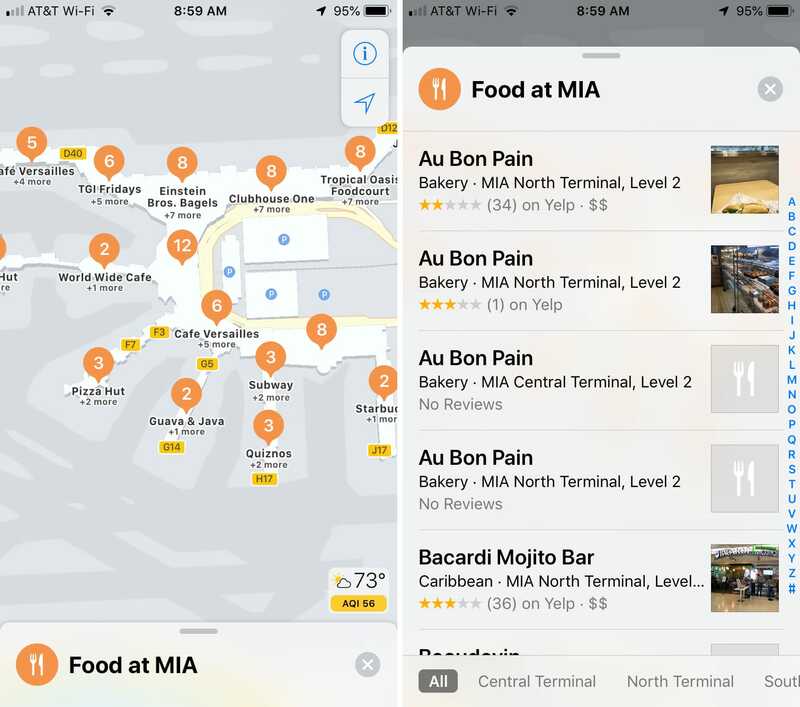 Indoor maps for airports and shopping malls can save you time and aggravation. Is this a feature that you think you’ll use? Let us know! ABC Star will put your child on the right path. You’re able to select from three lessons: Uppercase, Lowercase, and Numbers. Then hand your iPad off and allow your child to trace what’s in front of them using visual and audio cues. As they progress, a little egg in the corner of the screen will slowly grow and eventually hatch at the end. The app also allows you to skip ahead to any letter or number you like, and includes multiple colors to choose from. 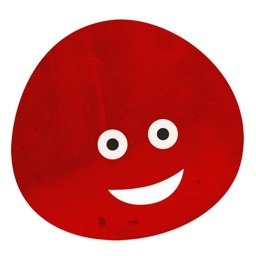 Red In Bed ( $0.99 → Free ) Pop Pop Pop LLC Red in Bed is an original interactive story for toddlers. It tells the tale of all of the colors of the rainbow, except for red who is sick, going out to paint the world. Each page includes various interactive elements including the colors of the rainbow acting like musical instruments. PirTie ( $0.99 → Free ) Ryan Steder PirTie is a color explosion mapped onto a sphere. You’re able to swipe to move the sphere and pinch to zoom in and out. 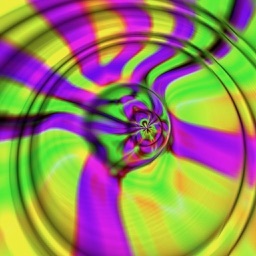 A single tap will change the colors. A double tap will change the pattern. A triple tap will capture a photo. PirTie also supports TV-out. Reeder 4 includes many new features and enhancements over Reeder 3, starting with a pull-to-refresh gesture. In the main article list, this will force a sync of your feeds. In the article viewer, the gesture takes you to the next or previous item. Aside from additional layout options and keyboard shortcuts, Reeder 4 finally includes a much-needed search feature. A new Bionic Reading mode strips articles of unnecessary elements while emphasizing certain letters in order to let you read texts with more focus, awareness and sustainability. An internal read-later service in Reeder 4, another new feature, makes it a cinch to queue articles for reading on your own time, and it uses iCloud to sync your reading progress. The article viewer has been improved, and by a large margin.. If you’re more of a visual type, you can now finally turn on image previews to make it easier to browse your articles list (you can change the preview image size in settings). A two-finger double tap on an image in the article list or the in-app browser magnifies it (speaking of which, Reeder finally uses WKWebview for its browser). The app adjusts the layout depending on your current window size, but this too can be changed in settings. 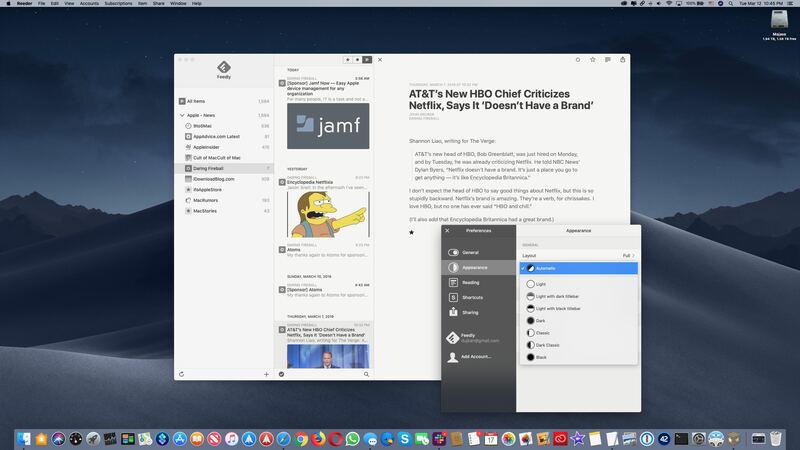 Reeder 4 supports popular RSS services, including Feedbin, Feedly, Feed Wrangler and a bunch of others. As a cool bonus, the software packs in standalone RSS support for those who need it. To lear more about Reeder’s features, visit the official website. 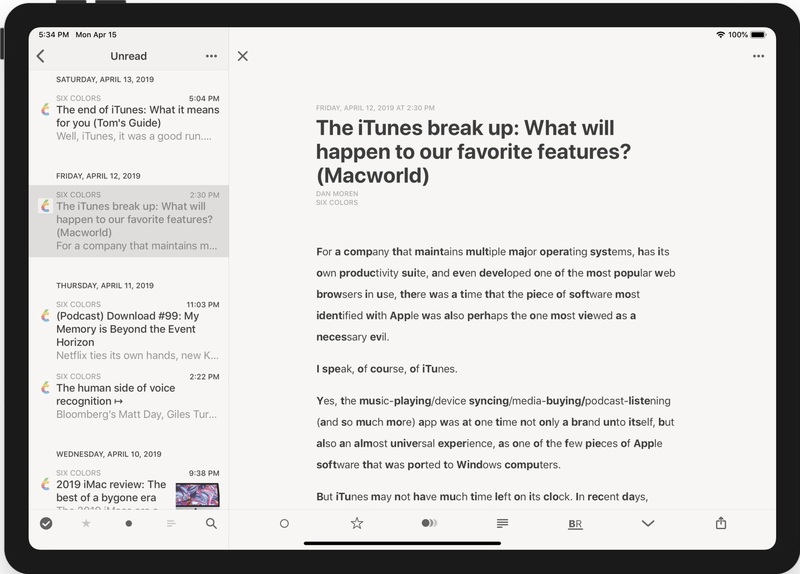 If you prefer to get your news via RSS, especially after Google pulled the plug on its own Reader service, do take Reeder 4 for a spin. 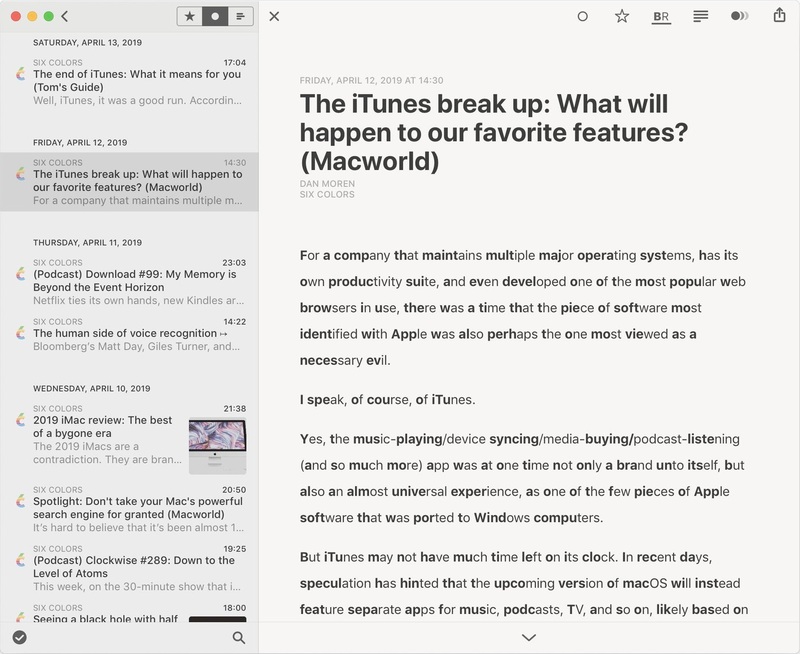 Reeder 4 for iOS is a $5 download from App Store. 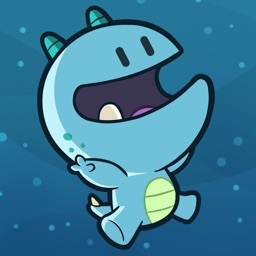 The previous version, Reeder 3, has been available at no charge since last August, but Silvio clarified that he may charge money for it again once Reeder 4 is out (Reeder 3 for iOS and macOS was still free at post time). 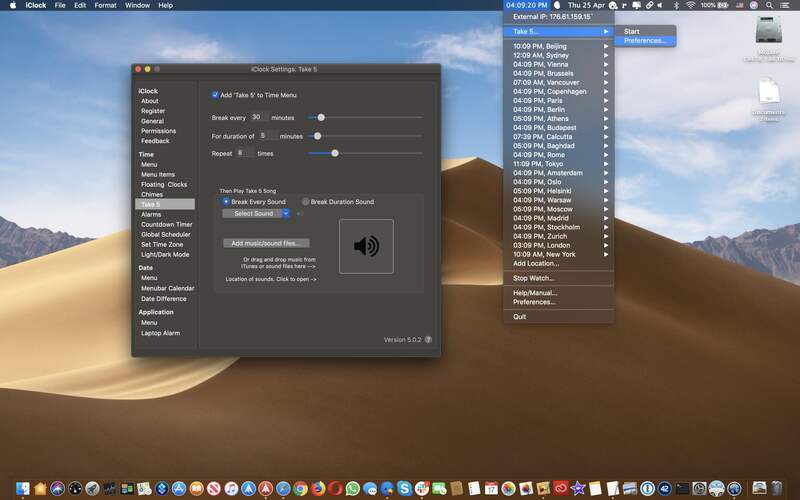 iClock, one of the oldest Mac apps, has been completely rewritten from the ground up and updated for macOS Mojave 10.14.4. 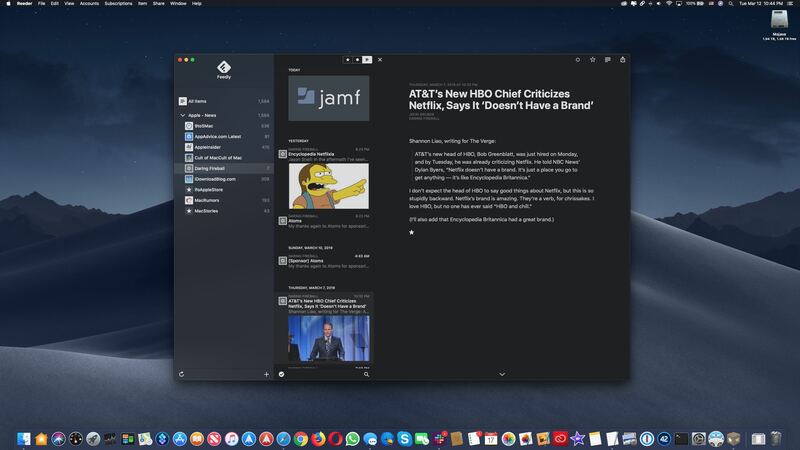 With its modern, productivity-boosting time management tools, iClock is more than a suitable replacement for Apple’s spartan clock in macOS. 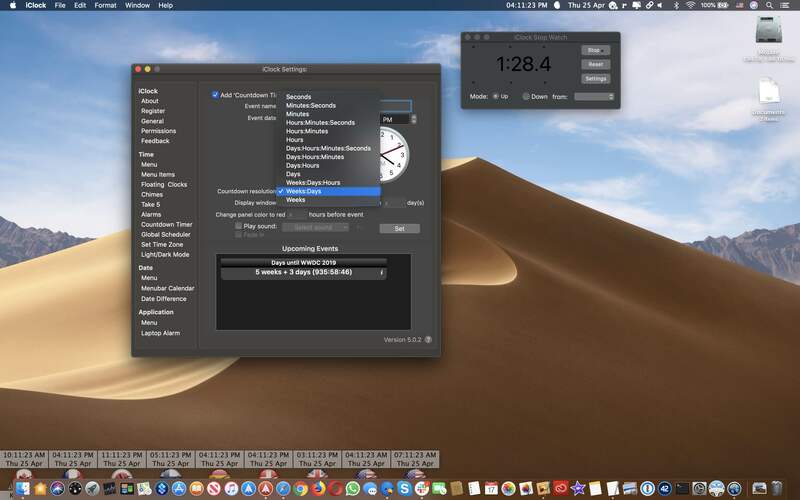 Whereas Apple’s menu bar clock only displays time and date, iClock put a wealth of powerful capabilities right into your Mac’s menu bar. 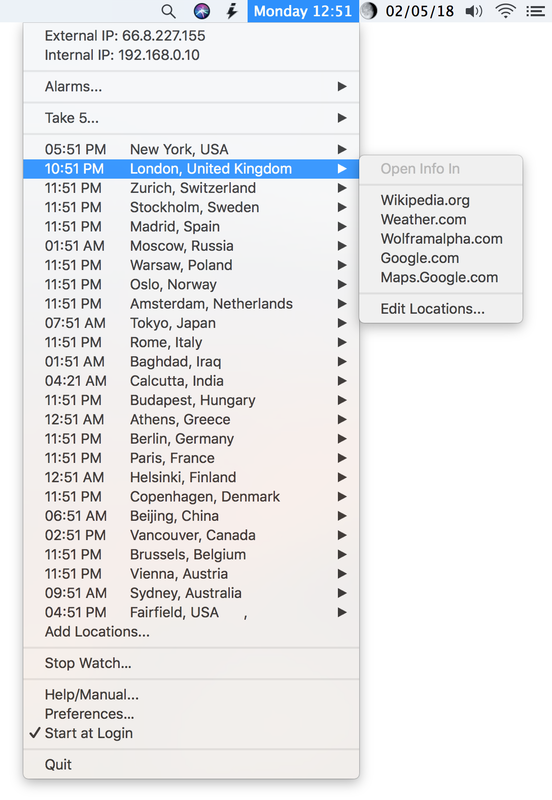 Just click the menu bar icon for instant access to the current time and date, moon phase, weather, world clocks, timers and what not. You can customize your time and date format in the app’s settings, including picking a custom color and a custom typeface and font size for the menu bar item. In addition to the world clock and the current time, iClock lets you set a bunch of custom alarms, timers, stop watches and countdowns (i.e. 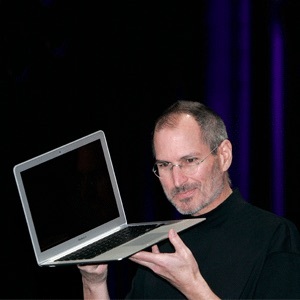 x days left until WWDC 2019). A Take 5 feature (a special “pomodoro” timer) lets you take quick breaks from work. 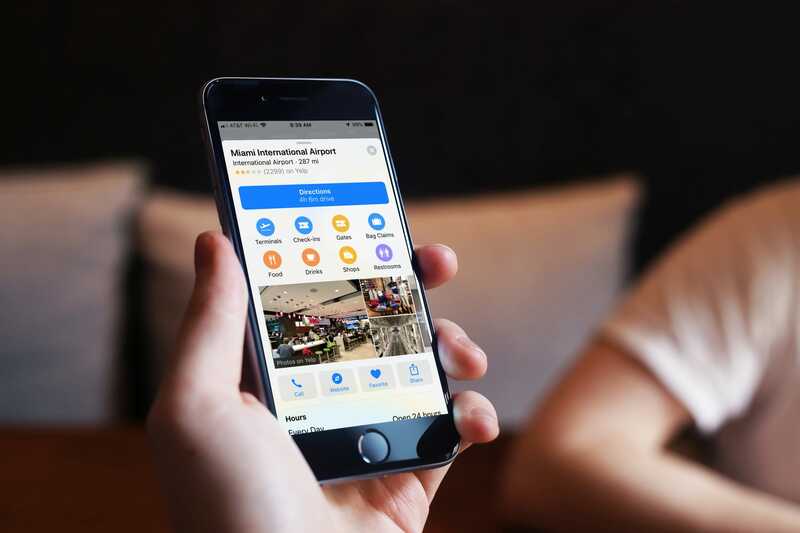 Heck, iClock even lets you see and copy your IP address and use a global scheduler to find the perfect time to bring participants in different time zones on a call. These features, and many more, are all instantly available from your Mac’s menu bar globally via a simple and intuitive user interface. 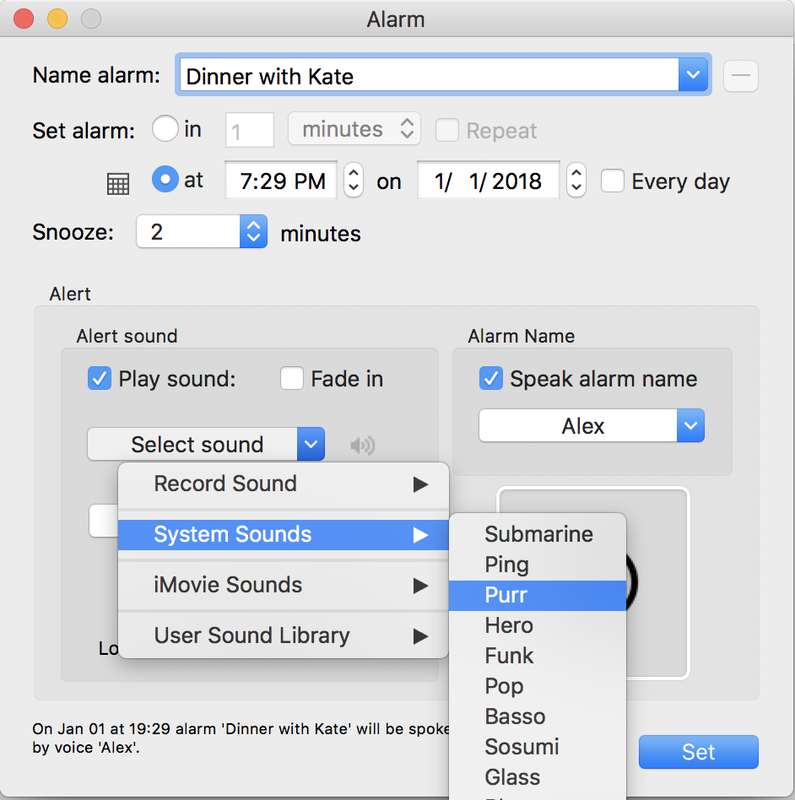 The software ships with a few nicely designed chime sounds for your custom alarms and supports automatic Dark/Light mode on macOS Mojave. It’s cool that your clocks can be made to float on top of all other windows, which is tremendously useful if your work is global and you need to know times in major cities. Last but not least, iClock packs in support for Apple and Google calendar events, lets you schedule meetings and even create printable personalized calendars with photos. Having a bunch of time-related features at one’s disposal will especially appeal to power uses, bloggers, managers, students, companies and just about anyone who depends on and works within time. Best of all, you can try out all that iClock has to offer free for 14 days. 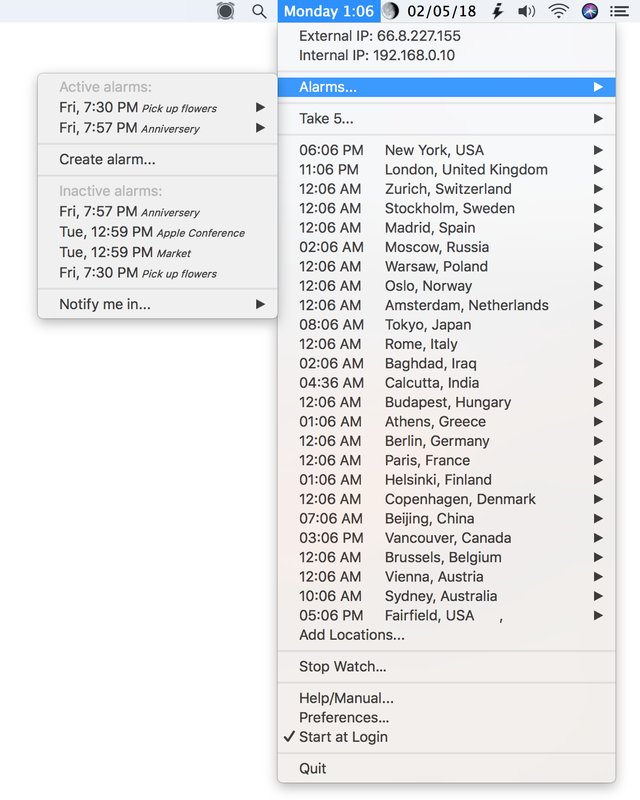 iClock is available for $18 a pop as a direct download or through Mac App Store. If you prefer to download iClock through Mac App Store, you can either buy the app outright for $18 or get a $0.99 per month subscription version that includes a free 14-day trial. To learn more, visit the official iClock website. 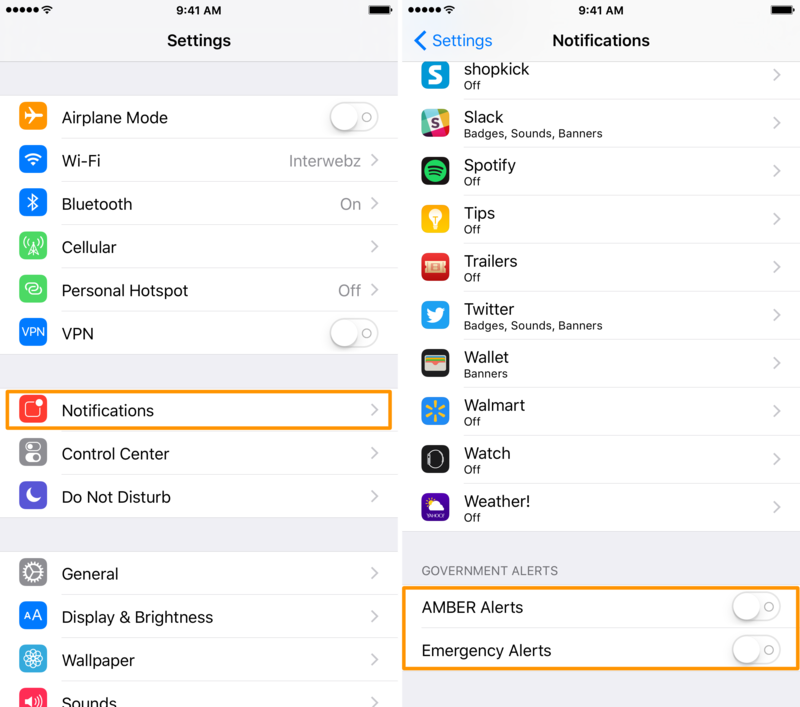 If you’re an AirPods owner, there’s something you need to know about Amber and emergency alerts, which in the US are distributed via TV stations, text messages and other means, including government notifications on mobile devices like iPhone. These alerts, pushed out individually by carriers based on location, can be useful for a variety of reasons. 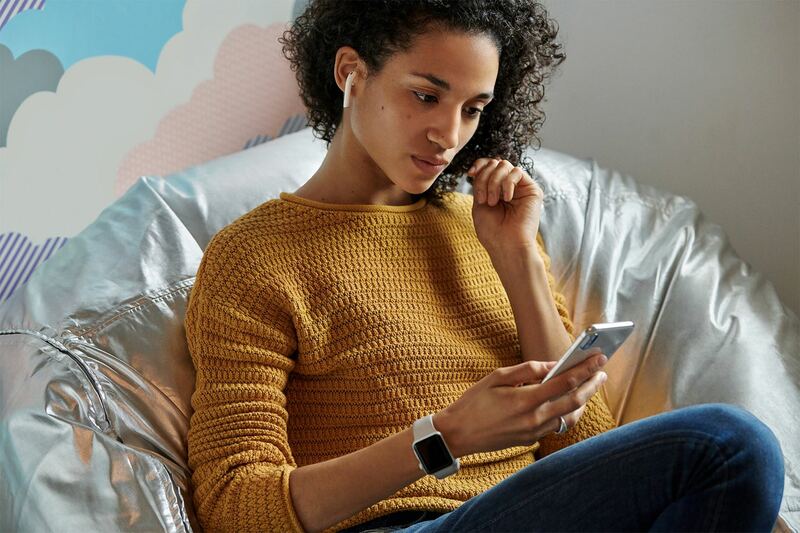 Because they’re designed to play at maximum volume to get your attention, emergency alerts can be harmful to hearing, especially when wearing AirPods when one hits. Just got my first set of AirPods two weeks ago. Really enjoying them now that my company has switched to iOS and I tote around two iPhones. Then today, I just popped them in to walk to the office and an Amber alert came in. Through my AirPods. Full blast loud. My eyes watered and I threw one out as fast as possible, but didn’t quite get the other in time as I tried to dismiss the alert. Holy hell, my ears are ringing so loud! Is there any way to turn that down? And not only is the maximum volume of emergency alerts an issue when wearing AirPods, but also when enjoying music in the car via CarPlay. Decreasing the volume doesn’t help because, as mentioned, government alerts are required to play at full volume. The Loop’s Dave Mark advises the iPhone maker to set a maximum volume limit for emergency klaxons and Amber alerts. There are people who need their AirPods at full volume, so not clear that a hard volume level cutoff is the right answer, but seems clear that the current in-ear volume for Amber alerts and the like is just too loud and, perhaps, harmful to hearing. I’m not sure Apple can do anything about it, but they could add an option to accessibility settings to restrict emergency alerts to iPhone so they won’t get played over anything remotely. To prevent emergency alerts from damaging your ear drums, simply turn them off. To do so, launch the Settings app and choose Notifications from the list. Now scroll all the way down to where you see the Government Alerts heading, then toggle the AMBER Alerts and/or Emergency Alerts switches to the OFF position. Doing so will ensure you’re no longer alerted of these government notifications when they come up blasting at full volume—your ears will thank you. You can revert the toggles if you change your mind about seeing these alerts on your iPhone later on.